The Capital Region Transportation Planning Agency (CRTPA) is the region’s metropolitan planning organization (MPO). As such, the CRTPA is responsible for coordinating transportation planning within Florida’s Capital Region. The CRTPA includes all of Gadsden, Jefferson, Leon and Wakulla counties. 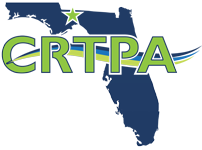 Learn more about the CRTPA Board by visiting the CRTPA Board page. Two advisory committees serve the CRTPA Board (Citizens Multimodal and Technical). Information regarding each of the committees can be found by visiting the Committees page.